In the Bay, catch me if you can. On, "Locations", CA$H from TK N Cash, brags about having a woman in every state. It's a catchy trap song produced by Og Parker, Beezo, & Deko, that could very well inspire the urge to hit the road and request a pin drop from the one person that you've had your eye on. 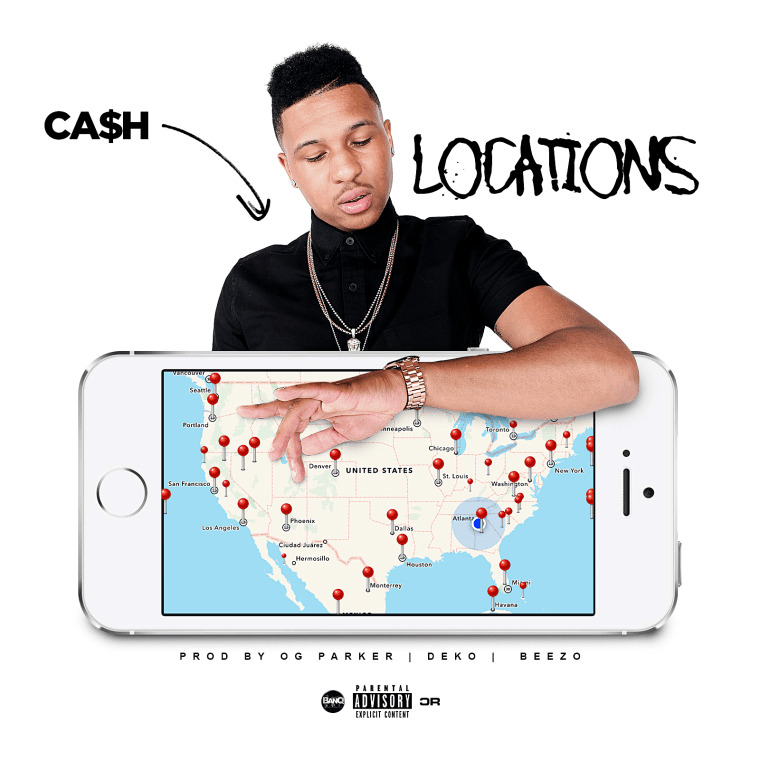 In his upbeat, sing-rap flow, CA$H pays homage to Ludacris and Nate Dogg's 2001, "Area Codes," as he lists the different cities across the country where a rendezvous is only one call away. Over email, CA$H told The FADER, "After being on the road for so long, you meet a lot of bad girls and I was just talking about everyday life and what I really do. Shout out to all the beautiful ladies around the world doe."